Whether you’re completely new to video editing, or an experienced editor, colorist or DIT looking to deepen your knowledge of DaVinci Resolve there are some excellent resources out there to help you do just that. DaVinci Resolve is probably the finest free NLE you can get your hands on today, and a great place to start for anyone new to editing. As long as your system will run it smoothly… Check this document to see if it will. That said the full Studio version of DaVinci Resolve is well worth the $299 and all updates have, so far, been free to existing owners. In this post I’ve chosen to focus on editing in DaVinci Resolve, although you’ll find TONS of great tutorials, books, paid-for training titles and other resources on colour grading in Resolve here. If you want to see what I mean for yourself, download DaVinci Resolve here for free. If you want to learn how to edit in DaVinci Resolve for the first time, this new 10-part tutorial series from editor, colorist and instructor Darren Mostyn, shared exclusively by RedSharkNews.com could be just what you need. Darren makes for an engaging and experienced instructor, and the fact that he’s a working editor also makes him well placed to deliver the kind of learning editors want to know when moving systems. So if you’re an editor with at least some minimal prior experience of editing then this series will make it a breeze to get started with editing in Resolve. But if you are entirely new to Resolve and film editing you might have to work a little harder as sometimes Darren’s use of industry terminology (e.g. ‘vision mixing’ when talking about live editing multicam clips) might be a little lost on you. But that really is a minor niggle. That said, the tutorials are well-paced enough to move through things efficiently without getting bogged down in every possible way of performing a function. Darren helpfully shares time-saving keyboard shortcuts and more complex ways of achieving the end result as each tutorial progresses. All in all, it’s fantastic to have a comprehensive and free resource for editors to get up to speed with editing in what is undoubtably the world’s best, free, video editing software. I’ll update this post as new episodes become available. If you want to take your knowledge of DaVinci Resolve a little deeper, and want to carry that knowledge with you where ever you go (outside of your head, that is!) then Darren has recently released an app for iOS and Android called Killer Tips for DaVinci Resolve. It’s a free app to download and includes a bevy of free tips (around 70! ), but you can extend that insight with ‘tip packs’ that cost a couple of bucks each. Or you can buy lifetime access to all the tips, now and in the future, for just $9.99 (for a limited time). The currently available tip packs cover editing, colour grading, audio and ‘nodes for beginners’. There are tips for all experience levels, so this isn’t just an app for beginners. Some of the really useful functionality of the app includes the ability to favourite the most useful tips for faster reference later on, or search through the library by keyword or category. By design, each tip is simply a short paragraph of text accompanied by an illustrative image (where necessary), which means that you can quickly find answers to nagging ‘how do I….’ questions. These kind of tips are a huge help to anyone getting started in a new piece of software, and especially for experienced editors moving to a new app. So often it’s the growing level of frustration involved in working out how to do simple things you used to know how to do in the ‘old app’ that can quickly make you shut down and go back to what you know. In many ways this app is the perfect companion to Darren’s 10 part video tutorial series above, and at $9.99 for every tip released, and yet-to-be released it’s a vertiable bargain. Blackmagic Design have released their first official training book for DaVinci Resolve, and it’s focus is on editing. Author Paul Saccone works for Blackmagic Design as the Senior Marketing Director, although he previously worked at Apple and on the Final Cut Studio team. You can see him in action demonstrating DaVinci Resolve at the top of this previous post on DaVinci Resolve 12.5 Training. It’s interesting that Blackmagic Design have chosen to release a book on editing as their first book and, if it wasn’t already obvious, signals their intent to solidify the notion that DaVinci Resolve is a serious NLE in the minds of editors everywhere. Hopefully I’ll be able to get my hands on a copy soon and give it a proper review! 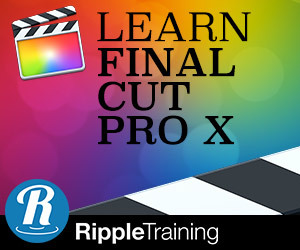 When it comes to paid-for DaVinci Resolve training for beginners, and experienced users who are new to the software, RippleTraining.com‘s numerous titles created by author, filmmaker and colorist Alexis Van Hurkman are probably the de-facto choice. You can bundle the first three titles listed here, and save $57, by buying the 12 hour and 37 minute DaVinci Resolve 12.5 Core Training. I’m a huge fan of Ripple Training’s tutorial series, and their contribution to the global post production community. I’ve personally purchased several of their tutorials myself over the years and have never been disappointed. 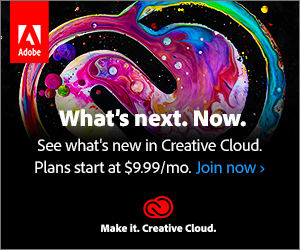 I most recently reviewed their DaVinci Resolve 12.5 New Features training here. Not only are the training titles excellent value for money, but they are pitched at a viewer experience level that will help anyone looking to get started with a new piece of software, as well as those users who might have already blazed their own trail but want to learn a few specifics or professional techniques, grounded in a firm and professional foundation. If that’s not enough Mark, Steve and Alexis are perennially delivering excellent free training and tips on their YouTube channel which features nearly 500 videos! That’s a lot of generous giving on their part. 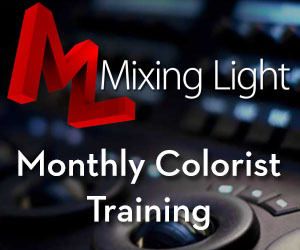 However, if you are a junior or even an experienced colorist, who already knows their way around DaVinci Resolve, and you are looking to learn more about the art, craft, business and technique of colour grading I would heartily recommend MixingLight.com, and it’s epic advanced training series, previously reviewed here. It’s probably the best place to learn from a global community of colorists that I’ve seen online! You might be thinking that it’s all very well that Blackmagic Design is keen to help more editors get working with DaVinci Resolve as professional NLE, but is anyone actually doing that? Marco Solorio from One River Media recently posted this in-depth case study on using DaVinci Resolve as a core NLE in their post facility for over a year. 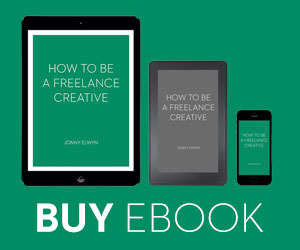 It’s a really great read and it covers pretty much ever aspect you might want to consider before ‘throwing real world, client-paying’ projects of your own into Resolve. Marco covers using proxies, media management, audio work, leveraging GPUs and a whole lot more! Today, we’re producing an undisclosed nature-based series that is 100% shot in RAW (using Blackmagic cameras), is HFR (high frame rate), is HDR (high dynamic range) and will be delivered in UHD with EVERYTHING being done in DaVinci Resolve Studio from beginning to end (except for the music score). This will dramatically maximize speed, quality, and accuracy. If you need reassurance that Resolve can handle your project professionally and under duress, then this case study is well worth your time. For another DaVinci Resolve editing case study, check out the write up by Walter Biscardi in this previous post. In this presentation from the 2016 Amsterdam Supermeet, Danish filmmaker Klaus B. Pedersen shares why he used Blackmagic cameras to shoot in RAW on his new documentary short – Playing with Fire. At about 13 minutes in editor Simon Hall walks through how key sequences were cut in DaVinci Resolve with a mix of formats. Casey Faris shares his top tips for editing in Resolve, although cautions that this isn’t what you want to watch if this is the first time you’ve ever opened the app. If that’s you, check out the free series at the top of this post! This short video is a good introduction to installing and using free third party VST audio effects in DaVinci Resolve. Casey recommends using this free LoudMax VST plugin, although there is some helpful chat in the comments section that might be more helpful in this particular case. Great VST tip! I wouldn’t use a maximizer limiter plug-in on a dialog track though. You’re decreasing the dynamic range and raising the noise floor closer to the level of the dialog. A compressor or very subtile limiting of -3dB would be ideal to keep them at opposite ends. Music should be mixed to dialog instead of the other way around. The maximizer belongs on the master buss track to increase the overall RMS volume of the entire mix. Colorist Rob Bessette reached out to Twitter to solve this little problem whilst editing in DaVinci Resolve the other day. If you click on the Date Stamp of the tweet you’ll get the full thread, but here is the quick solution from colorist Jamie Dickinson.